Each and every week, Your News to Know offers you the latest and most relevant news about the economy and the market of gold and other precious metals. Here’s what we gathered for you this week: Gold hits a six-week high, gold demand from India picks up, and Russia’s gold rush continues. Gold prices reached a six-week high on Tuesday over concerns about the health of the global economy as China showed its slowest growth since the global crisis, reported Reuters. At $1,255.20 an ounce, spot gold hit its highest since September 10, helped by a weaker dollar. A Tuesday report from the National Bureau of Statistics, showed that China posted its lowest year-on-year quarterly growth rate of 7.3% since the first quarter of 2009 when the world was in the middle of a global financial crisis. Third quarter growth rate this year was down from 7.5% in the second quarter. Reuters cited anonymous sources saying that the European Central Bank is considering buying debt sold by companies on the secondary market. The bank may reach a decision by December and could start purchases early next year. “The retreat of the U.S. dollar from multi-year highs removed the main obstacle for gold,” said Commerzbank analyst Carsten Fritsch. Another boost for gold came from India, ahead of approaching festival of lights. Gold demand from India spiked ahead of the approaching Diwali, the festival of lights. Diwali, considered an auspicious time for buying gold, is celebrated by more than 800 million Hindus in India on Thursday. Gold buying is set to improve after the weak rupee and India’s import restrictions led to a 34 percent drop in demand in the first two quarters of 2014, reported Bloomberg. Dhanteras, the first day of the Diwali, celebrated today, has a special significance for business people who purchase gold on that day. Jewelry sales may go up 30 to 40 percent during Dhanteras, said a jewelry retailer and exporter. 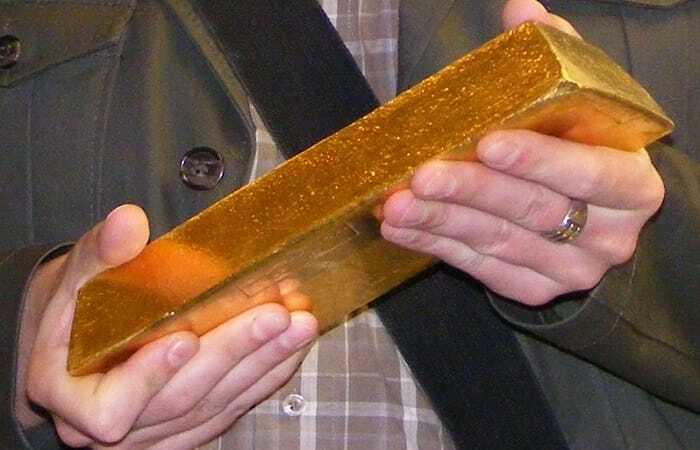 Russia’s central bank purchased another 37.33 tonnes of gold in September, increasing its gold holdings for a seventh straight month. It’s the country’s biggest monthly increase yet that pushed its reserves to about 1,150 tonnes. Russian President Vladimir Putin himself said in May that it was essential for his country to secure its gold reserves given the economic uncertainty. To keep up with more breaking news about gold and precious metals, join our Facebook page.